Move 2500k to mini itx make sense? I'm wanting to dump my huge Corsair case and go to an Elite 110. From here on out I'm done with massive cases much to the love of the Mrs. 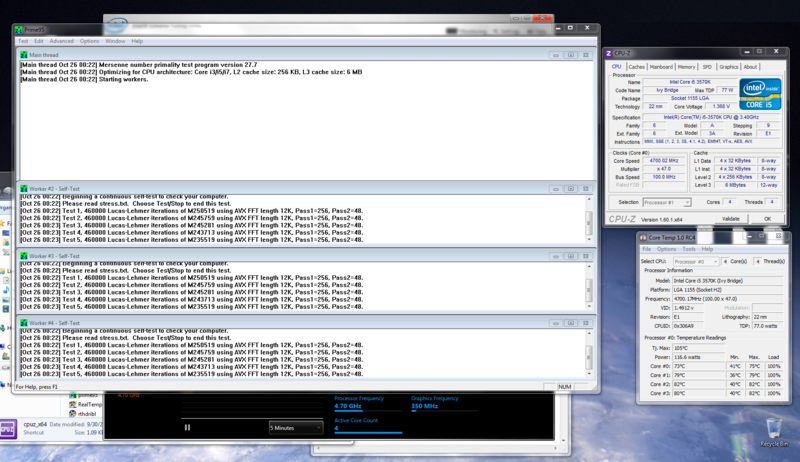 But I'm still rocking a 2500k that is over clocked to 4Ghz on a H50. I'm currently using a 290X but will be selling that for the Asus GTX 970 mini that will fit comfortably inside that new case. My question is, would it be worth it to just bite the bullet and move to Skylake? It would cost approx $400 extra to dump my Sandy Bridge and move to a i5-6600k when figuring the cost of the new CPU, MB cost difference from mini-itx 1155, and new RAM. There is only 1 MB listed on Newegg for mini itx in 1155 and it's a pretty gimped board. No Sata III just II. My Samsung SSD will be pissed with that bottleneck. Any recommendations on what I should do here to move to mini itx that makes the most sense? I'm even open to other CPU suggestions so I can reuse my DDR3. If you are patient, you can shop for a used mITX board. The 2500K is still a viable chip, I'm thinking you might be able to get a little more than 4.0GHz out of it with a suitable mobo. Depends on what games you are playing, too... newer titles would benefit moving on to Skylake. The used market is still pretty strong for 1155. I tried to go Mini ITX a few months ago with my 2500k and gave up. There simply isn't a lot of good boards, none can be found new with a warranty. I found a barebones on eBay a while back that I parted out. The seller had something like 50 of them, and I regret not buying more now. The barebones contained a Z77 motherboard + case + power supply for ~$50, and I ended up selling the case and power supply for close to $50. I then sold my old motherboard, case and power supply, and actually came out quite ahead. I've been pretty happy with the Zotac board, even if I can't get the same overclock out of it as I had with my ASRock. A few thoughts about the Elite 110 - Although it's well ventilated and attractive, having the power supply over the motherboard is just short of obnoxious. If you're not really set on it, look for a case that has the power supply somewhere else, or uses an external or SFF unit. I use this case and, after adding a small fan to the side panel to improve airflow around the video card, have no complaints. It will actually fit a full sized GTX960, though I think a normal 970 or Radeon 380 or higher would probably be too long, and there are probably clones of it with different ventilation techniques that remove the necessity of cutting the side panel. Something like this Phanteks or this Silverstone would be great, though you have to use a proprietary power supply form factor with the Silverstone. - It's going to be hard to overclock in a mini-ITX case. Unless you water cool, which is expensive. (CryEngine apart) a Core i3 6100 with 2666MHz DDR4 is generally on par or even a little faster than an older Core i5 2500K with 1333MHz DDR3 when both systems are paired with a GTX 970. - An i3 6100 costs about $300 less than an i7 6700K. Not counting the fact that its stock cooler should be sufficient. A Z170 board might cost more than whatever 1155 board you might find, though. I wouldn't reuse your DDR3 unless it works at 1.35V or less. Not necessarily. Having a bigger case doesn't necessarily make it any easier to dissipate heat. Thanks guys. Yeah, finding a good mini itx board is proving difficult unless I'm willing to go with H61 and its limited base set. @Yuriman: I don't think I'm willing to attempt to fix that socket pin. Those damn things are so small and delicate I'd end up breaking it. I'll take a look at those cases mentioned too! @keng6: I should be able to overclock the same as before I was thinking. 4Ghz is a mild over clock for the 2500k. That article is interesting but, of course, it's comparing stock clocks of both chips. I can't imagine there are many that have a 2500k running at stock. Unless I can find a decent mini itx board for my 2500k it's looking less likely I'll be keeping it. I guess I could just sell it and that board to out that towards a new build. If you're not hung up on overclocking, here's a new Asus H61 for $81. So there are some options out there. Thanks for those. I think that H61 board is limited to Sata II. So that's a bummer. I've contemplated that board but feel I'd be taking a step backwards. As far as the other two, I can't stomach paying those prices for dead end tech. I'd rather go Skylake. I don't get why mini itx is so expense in this socket for chipsets other than H61. I mean 1155 is dead. How can that Z77 board still be that expensive?
" I mean 1155 is dead. How can that Z77 board still be that expensive?" Its dead and thus supply and demand. I see little reason to deal with the headaches of itx with the 2500k, sell it or keep it as is for a backup machine and just build new if you're set on itx size factor. Personally I've grown to loathe itx after messing around with some NAS/server and htpc builds. If you're going to OC in itx, go water. Overall I've become a big fan of micro-atx setups. Reminds me, I've been meaning to look around for a good atx z77 as a backup to my asrock p67. Last time I looked, there wasn't much new stuff. I should probably get a backup for my 8350 too. One benefit of AMD being on AM3 for so long, new boards still available 4 years later. What you mean 1155 is dead?, well i have 2 i5 2400 and they rock. Dead, meaning there really aren't any more 1155 products being manufactured new at this point. The only new items you will find in retail channels are old inventory that hasn't moved. Let's face it, these chips are five years old now and four generations behind current technology. Most of the features (PCIe, SATA, USB, etc) have been updated/revised/improved several times. Plus with ITX you're looking at something that was more novelty than even niche application back then. This form factor has become more mainstream in the ensuing years, but the manufacturers have since moved on from this socket. So it's hardly surprising you can't find an affordable board with all the features you want. See, those last two sentences of yours don't follow supply and demand logic. I own a retail gift store. When customers no longer buy certain items (or they slow down) I mark them down to remove them from inventory. I don't see this happening here. Demand is down (I'm thinking nearly non-existent for 1155 mini-itx) yet prices are sky high. Who in their right mind would spend $211 ($160 after a rebate you may or may not get) on a dead product like that Asus board on Amazon? That would buy you a very VERY nice 1151 board today. I was thinking I'd be able to pick up a full featured (i.e. at least SATA 3) 1155 mini-itx board for less than $50 to be honest. I mean, they haven't been manufactured in years. So unless sellers are keeping prices high because they are thinking they are antiques/collectables at this point, I just don't get why they are inflated to these levels. They have the prices jacked up through the roof on the few remaining NIB pieces of inventory (they can't get more) because some sucker like me (see sig rig) would gladly pay $200+ to replace my motherboard if it failed, rather than have to shell out for a new CPU/RAM too just because I think an old motherboard should be cheaper now than it was 3 years ago. Yeah sitting on old inventory at inflated prices in the hopes someone might need it is counter to my business model. It almost like the antiques' business. Expensive as hell pieces for people that really really need it to decorate with. So yeah, I get it now and it makes sense to a degree I suppose. Personally I'd rather spend more and move to a newer architecture than pay those prices but I can also see the merit for those that can't/don't want to make that jump. When that ITX board you bought back in the day dies, and you don't want to be bothered with changing to a different motherboard/reinstall Windows/etc...you spend crazy cash to buy the original. If you look at old C2D or even P4 Dell/HP/etc motherboards on eBay you see this phenomenon - some of those things sell for hundreds apiece. At my last job we had old Instrons hooked up by ISA card into Windows 98 P3 machines (newer machines don't even have the ISA slot). The poor IT guy had to track down a new motherboard for one that failed, he said he finally found one that cost $400. To keep a $20-30k piece of equipment working for a few more years, that's acceptable I guess. Inevitability of having to move off of it eventually. But, sure, I get it. Sometimes it's better to patch something up than to rebuild it. I hadn't considered this when I was looking for these boards. I thought about doing this six months ago... availability and pricing have only gotten much worse since then. Sure it's ~25% faster + much newer USB & SATA... but I don't think I'll *see* $400 worth of difference in doing so. Poor resale values lately plus the cost of new seems to be going up fast. i5-6600k + Z170 + DDR4... and IGP or whatever old crapper card I have lying around. I remember when my q8400's mobo died after just 1.5 years in late 2011. That build had been a new chip and mobo rebuild after a 3 year old core2duo's mobo had died in 2010. All I could find new was micro-atx mobos. I ended up buying two of them, one came with essentially a free 2.4ghz celeron in a combo deal. But there were no good new full atx socket 775 mobos around.